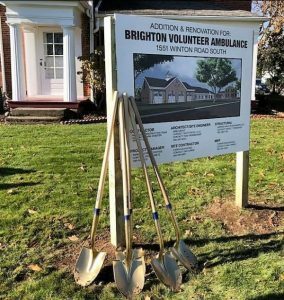 BVA held a groundbreaking ceremony on November 17, 2017 to celebrate the renovation and expansion of our base, a Brighton landmark located at the intersection of Winton & Westfall Roads and our home since 1987. BVA will expand our current 4,500 ft2 facility to 10,594 ft2, allowing us to double our vehicle bays from 4 to 8, relocate our administrative offices and crew quarters to the first floor, and eliminate off-site storage leasing. 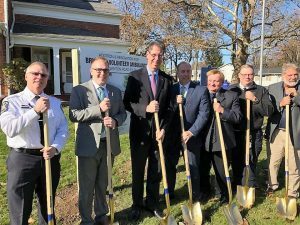 The BVA Training Center will remain at Brookside Elementary School. 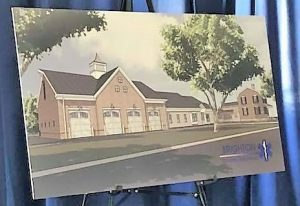 The $1,797,000 projected cost will be paid by dedicated funds from operations, public donations, bequests, and grants. We expect to complete the expansion by late 2018.